Years ago when I was working at a day treatment program for people in recovery from addictions, I began learning about shame. I found the research eye opening to say the least. The implications were a total game changer..a life changer. You see, the destructive emotion of shame was not only at the root of addiction, it was also highly correlated with bullying, eating disorders, aggression, depression, violence, and most self-destructive behaviors. The research showed that shame negatively impacts all relationships, stifles creativity and innovation in business, stops children from reaching their full potential in school, and causes leaders (in the home, at school, and in business) to lead from a place of insecurity and power over rather than being open to feedback and collaboration. It appeared that in shame resilient cultures, people were more accountable for their behaviors and did not blame others for their mistakes or rationalize them away. They took ownership and grew as a result. These cultures encouraged creativity, and innovation was not stifled because individuals felt safe sharing their ideas without the fear of ridicule or rejection. People were also more likely to take risks and put themselves out there because they knew that failing would not define them but provide an opportunity for growth. The research showed that combating shame can make our families, our schools, our places of worship, and our organizations healthier. Shame resilience makes us healthier. So what is shame exactly and who has it? Let me start by saying shame is universal. It is part of the human condition. However….we have different degrees of shame. Some people experienced more shame in childhood than others. Shame starts out as a two person experience and turns into a one person experience. Meaning, we were once shamed by someone else and now we are more than capable of shaming ourselves. While we have all experienced the emotion of shame, some of us have become fairly shame resilient by identifying the emotion and learning how to combat it. In explaining shame, I want to discuss the difference between shame and guilt because they are often confused with one another. Here is the difference. When someone feels guilt their self-talk is “I did something bad.” When someone feels shame their self-talk is “I am bad.” Guilt is about a behavior. Shame is about being a flawed mother, father, son, daughter, sister, brother, friend, husband, wife… person. Here is the thing. We can usually tolerate guilt because we don’t assume our action defines our worth as a person. Because we can tolerate guilt, we are accountable for our actions. We apologize to our friend and we learn from the experience. We begin to use our calendar regularly. If we feel shame, we feel significant pain and begin to defend ourselves from that pain. (This is all unconscious, of course.) We may convince ourselves that missing the party was no big deal. We may avoid the friend. We may lie to the friend. We may rationalize our behavior and think, “Doesn’t she know how busy I am? This was a horrible weekend to have a party.” We may even blame others for our mistake. “If John spent more time helping me with the kids, I wouldn’t feel so overwhelmed and I wouldn’t have forgotten about the party.” We may even tell our friend it was John’s fault. 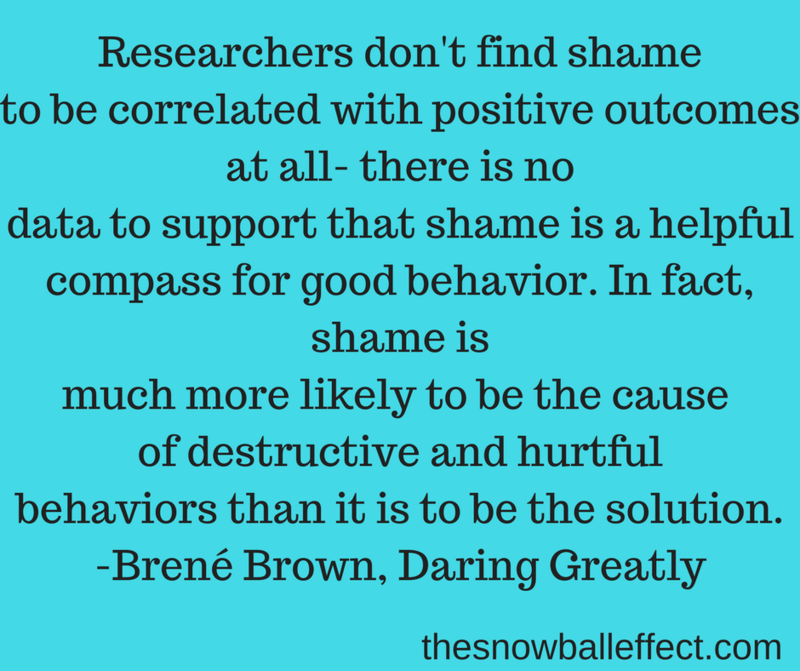 Shame researcher, Brené Brown, found the following categories to be places where people often feel the most shame. These categories are consistent with information described to me by my therapy clients. Brené Brown went on the list the responses she got from people when asked to give examples of times they felt shame (the emotion often feels like you just want to cover your face and hide). Shame is getting laid off and having to tell your pregnant wife. Shame is raging at my kids. Shame is not making partner. Shame is telling my fiancé my dad is in France when he is in prison. Shame is hearing my parents fight through the walls and wondering if I’m the only one who feels afraid. Shame is my boss calling me an idiot in front of a client. Shame is hiding my recovery. If the shame has nothing to do with a mistake that you have made like some of the examples above, you can heal the shame by sharing your story with an emotionally safe non-shaming person. There is so much power in sharing your story with someone who will not judge you and show you great compassion. Remember that shame gains tremendous power in secrecy. It is often said in recovery programs that you are only as sick as your secrets. This speaks directly to shame. Several weeks ago, I attended one of Brené Brown’s workshops in Washington DC. She told the participates that if they don’t own their story their story will own them. Embracing it all is the road to freedom. In the future, I will blog more about shame, shame resilience, the power of self-compassion, and creating a shame free culture. There is so much information that needs to get out there. Again, it is a life changer. Brown, Brené. (2012). Daring Greatly. New York, New York: Gotham Books. 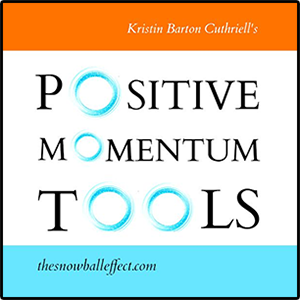 This post was written by Kristin Barton Cuthriell, MSW, MEd, LCSW. 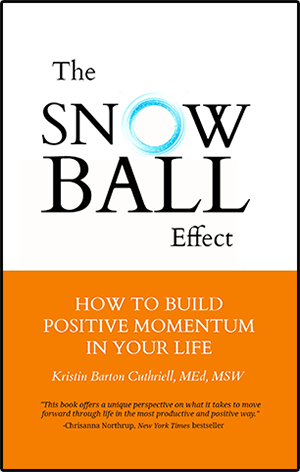 Kristin is an educator, psychotherapist, and author of The Snowball Effect: How to Build Positive Momentum in Your Life. To find out more go to www.thesnowballeffect.com.